At the Law Offices of Kendra Bunn, PA we work diligently to navigate the difficulties associated with the immigration process, and we do it differently. What makes us different? (1) Our office is proud to provide an efficient, responsive and respectful approach to law. (2) We recognize that your case has life-altering significance for you and your loved ones, and your successful immigration is our top priority. (3) Because we are selective in our client base, we are able to provide highly-personalized service: you will work one-on-one with an attorney that cares about your case, and our attorneys often travel directly to your worksite. 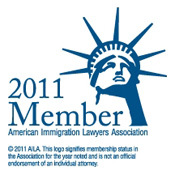 We are one of the most established immigration firms in North Florida. Our Main Offices have been established for over 20 years in Jacksonville, Florida. And we have recently expanded into the Midwest to offer convenient services to the residents of Ohio, West Virginia, Pennsylvania and Indiana (Mid-Ohio Valley area). Our newest location in Marietta, Ohio, is within an hour’s drive of Athens, Zanesville, Cambridge and St. Clairsville in Ohio, and the Charleston, Parkersburg and Wheeling, West Virginia areas. The Law Offices of Kendra Bunn, PA understand that immigration benefits the United States on a massive scale. The culture, innovation and labor which immigration brings to this nation is the reason the US is the most dynamic & diverse country on earth. So, welcome to our website . . . we hope you find it informative and useful. Please contact us to discuss your case at info@kbvisas.com.